Home insurance is critical year-round, but the harsh conditions and frigid temperatures that Ontario properties come up against make it even more important during the winter months. Your home is exposed to a whole new set of risks and elements during the season, so having adequate coverage and a full understanding of your insurance policy is important. Maintenance is also important to protect your property. If you are looking for ways to prevent freezing pipes this season, follow the steps below. Ensure your Oshawa Home Insurance is adequate and work with local insurance brokers to find coverage that is current and comprehensive for your property. If you have questions about your existing policy or want a more extensive or appropriate home insurance policy, Petley-Hare has a team of dedicated and experienced insurance brokers in the Durham region that can provide assistance. Identify At-Risk Pipes: Take note of pipes that are in less-insulated areas or located near external walls. 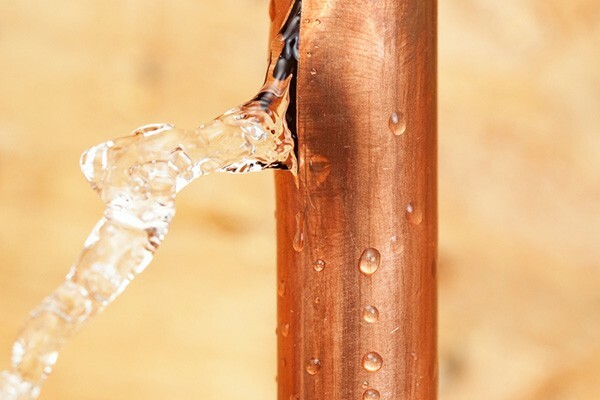 These sections of your plumbing are most vulnerable to freezing and should be monitored. Foam covers, extra insulation, and other measures may be recommended by a plumbing professional, especially if you will be leaving your property unattended for a period of time. Open cabinets near your sinks in order to allow temperate air to circulate around pipes. Take the Right Steps: If you have the unfortunate experience of dealing with frozen pipes this winter, knowing the right steps to take is important. If you find no water coming from your pipes, it may indicate a freeze. Leave the faucet on with warm water and the frozen pipe may begin to thaw. Check your thermostat and work with plumbing professionals to understand the extent of any damages and then contact your home insurance provider. Storm Damage: Winter weather is not just cold, it is also turbulent. 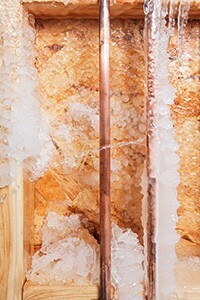 Ice, snow, and unpredictable freeze-thaw weather patterns can lead to damage in areas of your home beyond the plumbing. If you face damage from fallen tree limbs, a broken HVAC system, or damaged exteriors on your home, document the damage and contact Petley-Hare. Does Home Insurance Cover Water Damage from a Leaking Pipe? : Home insurance coverage almost universally covers sudden, accidental plumbing leaks. This means that a burst pipe or sudden leak will typically be covered. If water damage is discovered that has trickled out over months or years, policies will vary. Get maintenance checks throughout your home and work with your insurance provider to learn more about your specific coverage. Request a Free Estimate online for your home insurance. You can also work with the friendly and knowledgeable insurance brokers at Petley-Hare to find out what type of water damage is covered by homeowners insurance in your existing or new policy. Get competitive pricing and professional guidance for your home insurance coverage. Call Petley-Hare toll-free at 1-800-216-5324 today to find the right home insurance for your property in Durham. Get a Free, no obligation quote online.